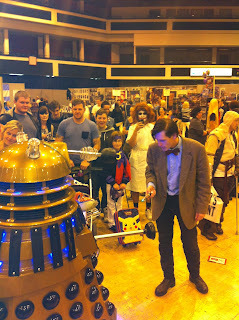 type40 - Doctor Who news and views: WHO COMES TO COMIC-CON! If you were lucky enough to be in Cardiff over the weekend, chances are you may have noticed a slight increase in excitement coming from the Motorpoint Arena. 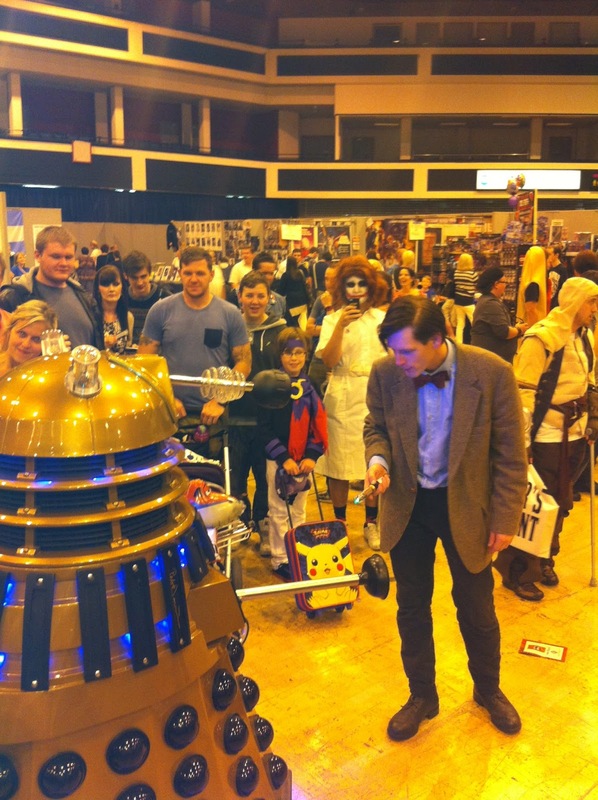 Thanks to some dedicated fans, a few kind celebrities and the occasional Dalek, what you stumbled upon was none other than Cardiff Comic-Con 2013. With a crowd of fans stretching all the way around the building as their favourite hero/villain/Doctor, enthusiasm was at a high from the very beginning. Within seconds, any passer-by would see Spiderman, Doctor Who and Darth Vader in casual chatter and ready to enjoy the day - a day that was undeniably a success. Yet even with its ridiculously diverse fanbase, Who still managed to have its own place in the hall, with celebrities and fans alike sharing their passion for the show in their own special way. 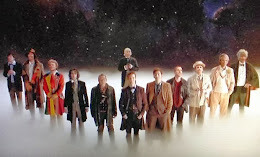 Attending stars from Who included Colin Baker, Frazer Hines, Kai Owen, Anthony Head, John Leeson, Mat Irvine and Laurie Goode, all of which were heavily involved in talking to the fans on a one-to-one basis. Who was also the subject of many cosplayers, dressing as their favourite characters including the uncanny Matt Smith incarnation (found below) and a surprisingly original TARDIS-inspired gown. The showdown we all want to see. Candy Jar Books' own Terry Cooper also made his own appearance as everyone's favourite pirate, Captain Jack Sparrow. Having spent Sunday entirely in-character for 10 hours straight, he's certainly a performer worth admiring! Check out his official Facebook page here. In hindsight, the two-day event was a wonderful way for fans to meet their heroes, as well as to celebrate an ever-growing source of imagination. After all, where else would we see Cybermen dancing with the Doctor if not our television screens?